Happy Memorial Day from Pacific Union! 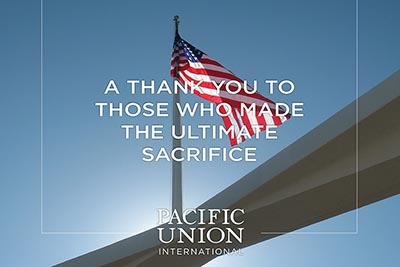 We salute and thank all those who sacrificed their lives for America, as well everyone who currently serves or has served in our country’s military. We hope your long weekend is a safe and enjoyable one. We will return tomorrow with the latest news and exclusive analyses of California real estate markets, so please check back!